Is your company on Instagram yet? When Instagram first launched in October 2010, it did not expect to gain 1 million users in a span of 3 months. Apparently, many people fancy the idea of showcasing their photos in square grids. But it is more than a personal thing. Growing at an exponential rate for 3 years straight, Instagram has become one of the rising darlings of social media. Through its focus on photos and close connectivity, Instagram offers an innovative way to leverage visual marketing, with new elements such as InstaDirect-send private messages and InstaVideo– takes a 15 second video. 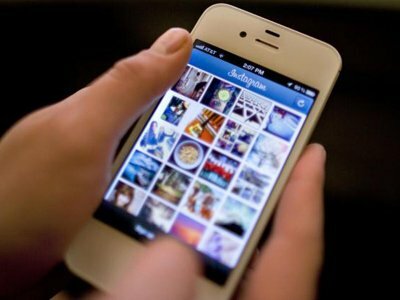 Today, the Instagram community boasts a whopping 150 million users worldwide. Huge companies such as National Geographic, Zara and Starbucks are all using Instagram to expand their business. Why are companies jumping on the bandwagon? Because Instagram offers an opportunity for brands to diversify their content as a means to broaden their online reach quickly. Simply put, businesses want to be where their customers are! Getting on this platform is a great way to check out what’s trending in the community, and also track their products by the number of mentions. Through the use of hash tags, companies are able to engage in direct conversation with their audience, and this can inspire new products and/or new product uses. Under the “About Me” section, write a brief description of your brand/company. Just like any other social media network, everyone reads the simple introduction on your page before scrolling further. Make it appealing to viewers and remember that less is more. A short, witty tagline is better than a long presentation that can throw people off. Yes, it is a business that you are running so why not show the viewers how it’s done? Snap photos showing the different aspects your product, or post pictures of events or conferences. Photos of the office and staff interactions will help to build rapport with your audience. Thanks to Twitter, the hashtag has become an important means of communication. Hashtags open up the potential of allowing the consumer to influence an ad campaign, for example. So if you’re doing a short survey, or even hosting a contest via Instagram, create a hashtag that users can easily identify with and access quickly. Each time they search for a specific content hashtag (e.g. #iwanttowin), all related photos will show up in one place. However, use relevant hash tags. You don’t have to go all professional and capture photos using a DSLR camera, and then edit on Photoshop. The key is to keep it creative but simple. Add filters to your images. There are tons of free applications you can download from. There are even filters for InstaVideo! Remember you are communicating through visuals to tell a story to your viewers, so there is no reason to produce boring pictures or videos. Or someone may just hit that “unfollow” button! Does your company have Facebook, twitter, blog? Link your Instagram posts to all the platforms – this will have a multiplying effect – not only will your followers stay updated, it will widen your reach. Not only do people interact through your visually appealing pictures, they may also post comments. Do make it a point to reply and if they follow you, follow them back! This presents another opportunity to explore your audience and understand their interests, which may impact and/or help to improve and expand your company and brand offerings. Once you reach your target number of followers (e.g. 4,000), why not reward them with discount codes, promotions and free tickets? This is a good way to show your appreciation and in turn, your followers will also spread the news about your company. Take Mercedes-Benz for example. They gathered five of Instagram’s best photographers and offered each, five days behind the wheel to take inspiring photos with the car. The one who received the most likes got to keep the all-new Mercedes-Benz CLA. The best part, even fans were allowed to participate. They sent their photos under the hashtag ‘#CLATakeTheWheel;’ in the hopes of winning a car. The contest helped Mercedes-Benz to gain more followers, and the company appeared in the newsfeed of millions of Instagram users through selected Instagrammers’ posts. Instagram is an invaluable marketing tool. By integrating Instagram into your social media marketing campaign, you can give your followers an insight into your company. It is a great way to promote your business while being creative at the same time – and that’s always fun right! Posted by Aishah Nur, Corp Media.